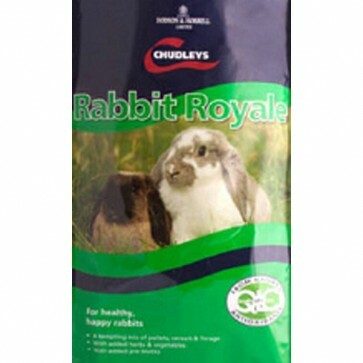 Chudleys Rabbit Royale is a highly palatable complete rabbit food or muesli mix that contains pellets, cereals, vegetables, essential long fibre and herbs, suitable for adult and growing rabbits, sold by chudleys in economical 15kg bags that are Vat Free, saving you extra money! Rabbit Royale is both interesting, appetising and nutritionally balanced, so that you rabbit receives all the essential vitamins and minerals needed, formulated to promote a long, healthy and active life for your rabbit. Please note chudleys rabbit royale does not contain lucust beans that are a complimentary rabbit treat that are sweet in taste, but also very fattening and can cause digestive issues for some rabbits. The luxury chudleys rabbit mix is suitable for all rabbit breeds and can also be fed to Guinea Pigs, but as their nutritional requirements differ slightly from rabbits, Supplementary Vitamin C in their water will be needed. 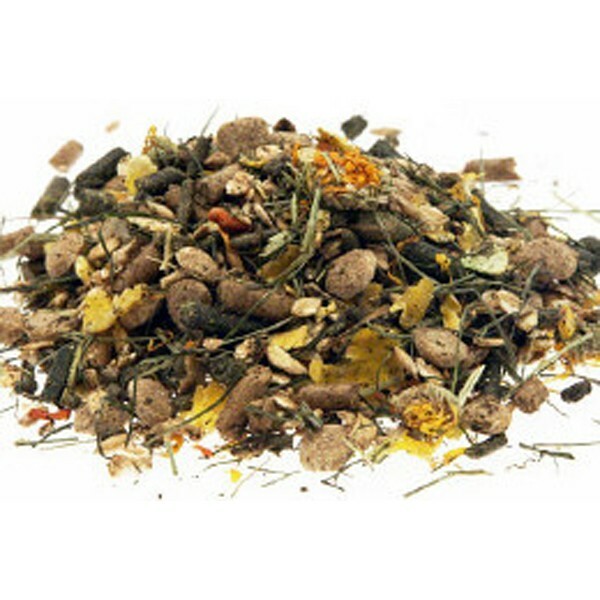 Grass, Wheat, Oats, Oatfeed, Barley, Peas Maize, Alfalfa, Wheetfeed, Dehulled Soya Bean, Herbs including Marigold Flowers, Mint and Nettle, Carrot, Glucose, Straw, Soya Oil and Fruit. The recommended feeding amount of rabbit royale will vary according to your rabbit's age, activity level and breed size. The daily feeding guidelines shown below are only a suggestion and may have to be increased or decreased depending on your rabbit's individual requirements.